The Brit Sec web site is a multi-page, responsive, and mobile friendly site designed and developed by Davies Wise Design. Brit Sec is among the UK’s leading providers of security services. 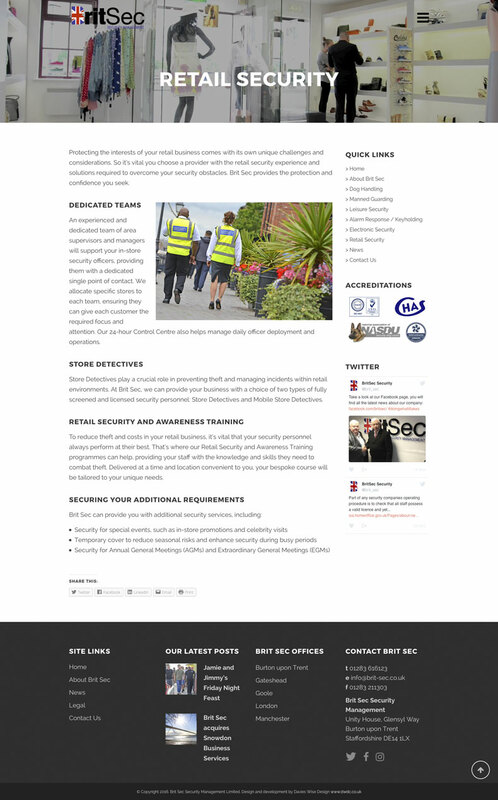 They have a comprehensive suite of offerings comprising Dog Handling, Manned Guarding, Leisure Security, Alarm Response / Keyholding, Electronic Site Security and Retail Security. The site has a comprehensive landing page with links to the remainder of the site. Also featured are the companies accreditations, a list of clients on a carousel, call to action areas and a fully-featured footer area with futher site links. 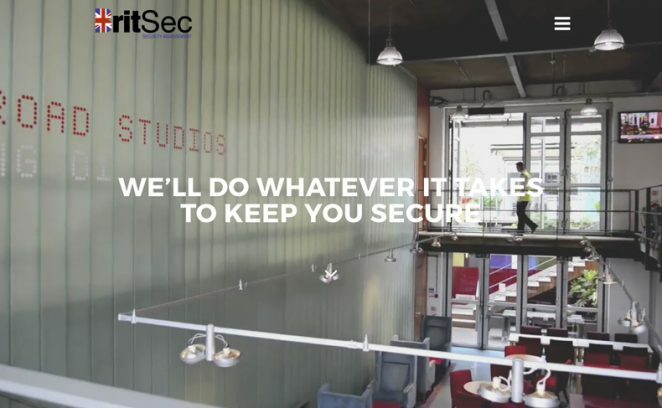 Site pages feature a video-background header area where appropriate, showing real-life security situations and company employees. Likewise, there are image / video sliders throughout the site showing the sectors the company operates in. We show this below with the full landing page, then the Retail Security page, and finally the background video which appears when the site is viewed. It’s planned to change this video on a regular basis to keep the site fresh. All of the videos which appear on the web site were shot in 1080p high-definition video, with in-house editing and post-production.